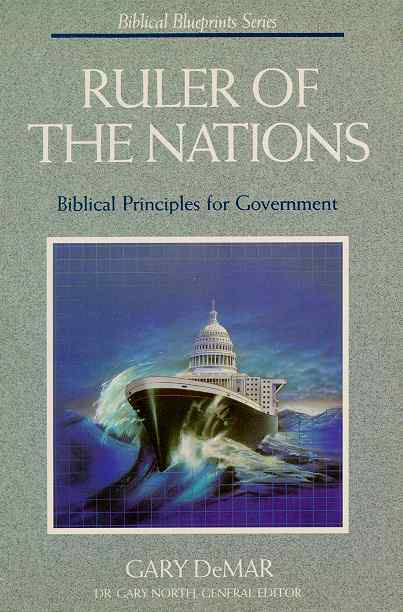 Does the Bible have answers for the complex problems of modern civil government? Scandal ridden and conspiracy laden, our entire government system is in trouble. From the court house to the White House, the government of our land has been crippled with corruption, bureaucratic red tape, and political finagling. Many constitutional experts fear that if the system does not soon recover it’s integrity – and thus the confidence of it’s citizenry – it will not survive to the end of this century. But they have little or no idea how to correct that integrity. They don’t have the answers. In this volume of the ground-breaking Biblical Blueprint Series, Gary DeMar outlines specifically what those answers are. He shows us how we can regain the greatness of the American system. The Bible tells us what to do, when, where, how, and why. It offers us a “blueprint” for civil stability, Ruler of the Nations, lays out that “blueprint” simply, practically, and understandingly.